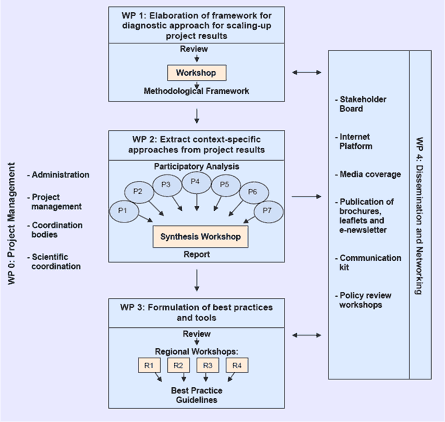 Furthermore, the Twin2Go approach includes involving stakeholders from the projects and basins in all steps of methodology elaboration, analysis and synthesis in order to ensure that the process reveals results that are meaningful for the development of water management strategies and water policies. To ensure up-take of research results into political decision making, effective dissemination activities will target high level decision makers. An advisory board consisting of international water organizations will further support this process.